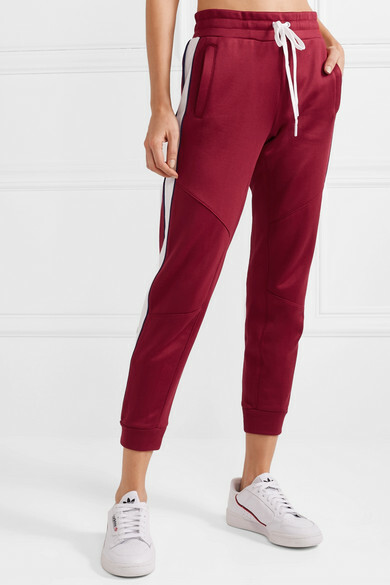 All Access' 'Prodigy' pants are made for everything from jogging on the treadmill to simply running errands at the weekend. 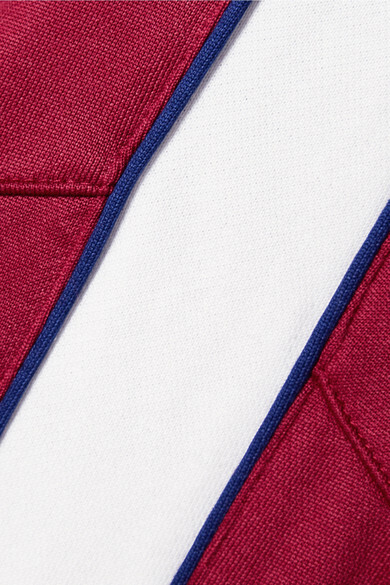 They're cut from burgundy stretch-jersey with a subtle sheen and trimmed with contrasting white and navy stripes down the tapered legs. 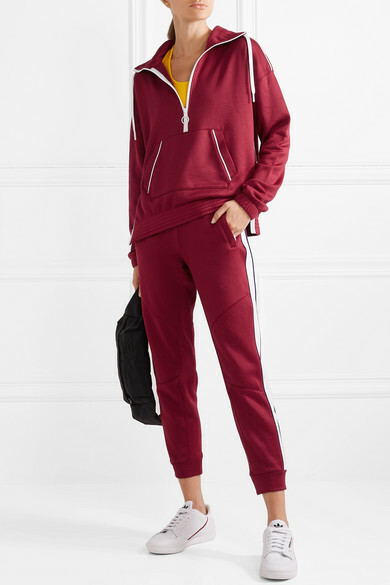 Style them with the matching sweatshirt at the gym, tucking your phone and keys in the secure side zipped pockets. Shown here with: All Access Sports bra, Reebok X Victoria Beckham Belt bag, adidas Originals Sneakers.